These alignment-based yoga classes are accessible, affordable, and expertly taught. They will help you build both strength and flexibility so your body can function at its best. Teagan Schweitzer is a woman with many passions and a tenacious personality. Her passion for yoga is infectious, and she inspires others around her to reach for greatness. 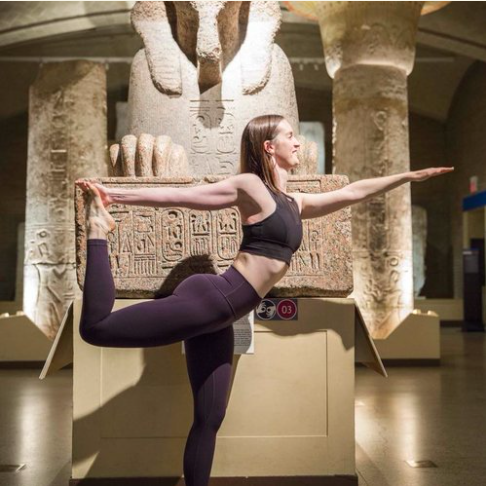 Teagan has been dedicated to teaching yoga in Philadelphia for over 10 years and has taken teacher trainings in a variety of styles including Yogahour, Anusara Yoga, Ashtanga Vinyasa Yoga, and Power Yoga. She is a registered E-RYT 500 yoga teacher with Yoga Alliance. She combines her knowledge from these studies to offer unique, challenging, expertly taught, well-aligned yoga classes, workshops, and teacher trainings. Aside from pursuing yoga studies, she has a Ph.D. in Anthropology and researches food in Philadelphia in the 19th century. She graduated top her class in culinary school at Le Cordon Bleu in Paris. Her passion for movement and form traces back through a long history in dance, both amateur and professional, and extends to all modalities of fitness and physical practice.